Want to have Clean clothes without using phosphates and chemical brighteners? Ecover Laundry Powder can do just that. This plant based cleaner gets the dirt out of whites and colors, leaving them clean and chemical free. I prefer liquid detergents simply because I feel they will dissolve better, but then you are paying for the water component of the soap as well. I wanted to try Ecovers Ecological Laundry Powder to see how well an eco friendly powder did in the wash. It dissolved perfectly, no trouble with left over specks on the clothes in the over a dozen loads I tried. No heavy perfumes or scents for my manly boys! Just a nice fresh, clean! I struggle sometimes with whites as my boys are hauling hay and feeding animals, getting out there grimy and dirty. There is a need for something a bit stronger than just laundry detergent at times. I was excited to try Ecovers Non Chlorine Bleach as a non chlorine alternative. It uses hydrogen peroxide as it's main ingredient. Just what my whites needed to get that little extra cleaning. 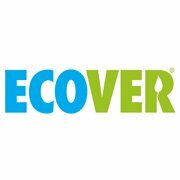 Ecover is much broader than laundry care. They have products for dishwashing, household cleaning (such as bathrooms, floors and glass cleaning), handsoaps and boat and car care. My Whole Foods Store sells it, so you may have one of those near by. Ecover Facebook is a great way to keep up to date on the latest development! So glad that your "manly boys" are wearing clean clothes thanks to Ecover's ecological Laundry Powder! We are happy that you had the chance to try our products and that you took the time to review them here on your blog. Thanks so much for giving Ecover a try!